Whether you’re looking for help because of a divorce, an inheritance, renter-related headaches, or some other reason, if you’re in the Birmingham, AL area we can help. 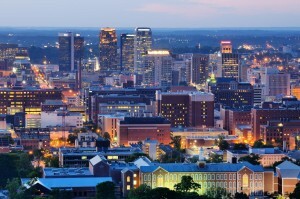 Partners Investments, is a locally owned business in Birmingham. We buy houses in Birmingham and the surrounding areas (Hoover, Homewood, Center Point, Pinson, Clay, Trussville, Hueytown and more). Unlike most “cash” home buyers, we handle everything from start to finish. We got into the home-buying business because we felt buyers deserved more options when selling their home and wanted to provide alternatives to selling your house for cash or listing with an agent. That means right from the start you’re dealing with the buyer and you get quality professionals who understand the housing market in the Birmingham, AL area — professionals who truly care about helping you sell your home. Selling your home doesn’t have to be a hassle. Our 4-step system simplifies the process and gets you your money, fast. 1- Initial consultation to collect data. Start by claiming your free quote. Complete the form up above..
2- Sign a 2-page purchase contract. We can fax, email, or mail it to you. 3- Closing takes place through at our attorneys office. 4- You get your money. We make it as easy as possible for you to sell your house. We walk you through the process and we do all the heavy lifting!